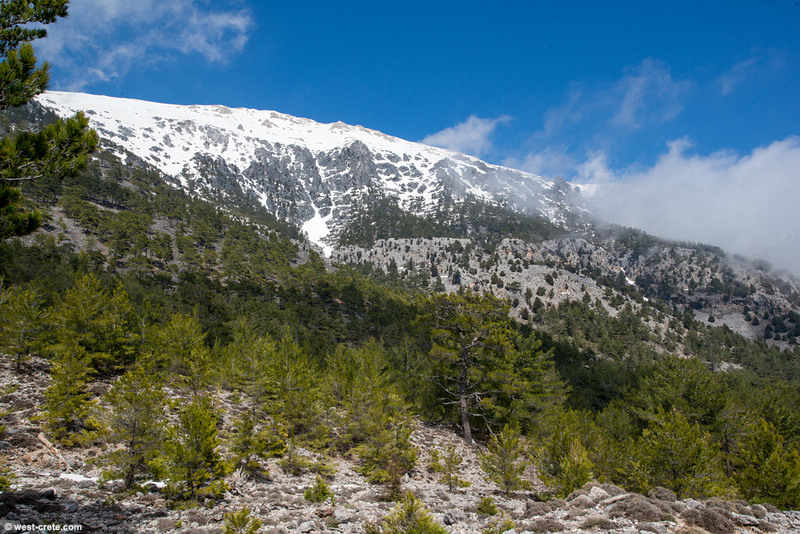 A view of the Mavra Gremna (Black Cliffs) towering above the plateau of Anopolis. The photo was taken near Kroussia (located above Agios Ioannis) at 1200m. Note that there are still patches of snow in the foreground.